There are not many events in the world of mobile phones as eagerly expected as it is Samsung’s Unpacked every year. This year Samsung decided to hold Unpacked during Mobile World Congress in Barcelona on March 1st. Last two iterations of Galaxy S series of phones (S4 and S5) were welcomed with lukewarm reception. Nothing groundbreaking was found in those devices. Those were iterative upgrades, not worth spending a couple of hundreds of dollars if you had a previous model. That situation started reflecting on Samsung’s sales and they needed something big for their S6 handset. Something that would tip the scales to their side. And it seems that they did it. Finally, after years of self-indulgent containment within walls of green banknotes, Samsung made some radical changes that will help them boost the sales once again. How does that relate to my resume, you ask? Well, you have to know that during your job search you’re basically trying to sell yourself. What is Galaxy S6 to Samsung that your resume is to you. Let’s see a very good practice of change Samsung executed on their S6 handset and how you can apply the same principles to boost your resume. Design – Year after year customers cringed to Samsung to ditch the plastic and add more premium materials to the Galaxy line. Finally, this year, S6 introduced metal and glass as building bricks of their new flagship. Same can be applied to your resume. Design is almost as important as is content. If you don’t receive a call from the recruiter job application after job application, try to change the design of your resume. With this, I mean you should primarily correct obvious design mistakes as Samsung did. Make bullets the same across the whole resume, unify fonts, don’t use bright colors, and remove that cumbersome feel at first glance at your resume. Get your spelling and grammar correct; use proper interpunction, bolding and italicizing. Make correct headers for different segments; be consistent through your whole resume. Don’t forget to pay special attention on your resume filename. Content – This year Samsung ups the ante with custom designed chipset Exynos 7, wireless charging and faster USB charging, improved fingerprint sensor and camera etc. It means that S6 is not just a beautiful phone, but also a speed beast under the pretty face. Your resume needs to leave the same ‘beauty and the beast’ impression. Design is something that catches the eye, but the content of your resume is what keeps the recruiter reading it. So, be sure to pack it with relevant information, quantified achievements, appropriate keywords, required education and certificates. Eye-candy coating is good strategy only and exclusively if it’s followed by strong, relevant content of your resume. 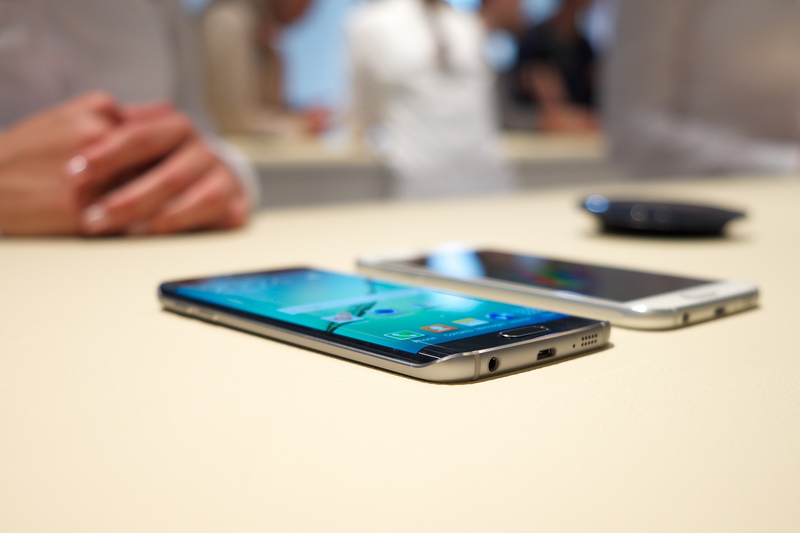 Innovation – Galaxy S6 Edge is the world’s first phone with display curved on both sides. Plus it looks absolutely stunning. That’s a major selling point since there will always be early adopters which will run to try that new wondrous piece of technology. Induce the same wish with your resume. 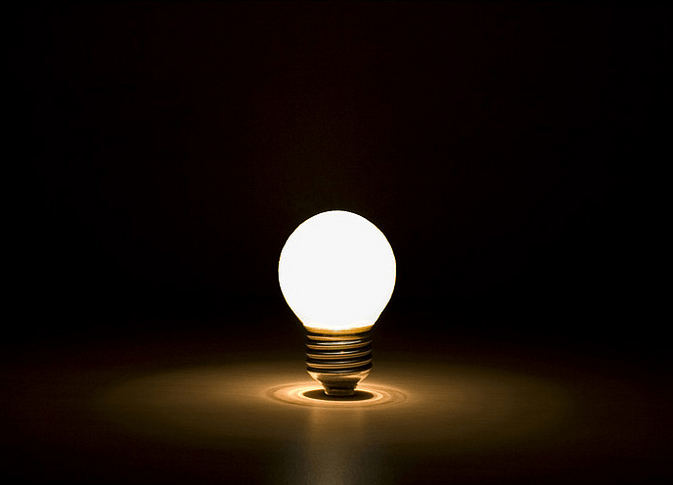 Be innovative. Use graphic or video resume (for all Pros and Cons of graphic resumes, please view this article). Make a personal website about you. Put a link to your portfolio or showcase on your resume. Don’t just write that you know how to think out of the box in your resume, apply it. Ditch the load – One of the biggest pitfalls of recent members of the Galaxy S series was unbelievably robust user interface skin Samsung added to its phones. It’s called TouchWiz and because of a huge number of features unneeded from customers, it became bottleneck for the whole experience of Galaxy S phones. The system became laggy, slow and a complete impression was miles under the real power of hardware incorporated into these handsets. Samsung wanted to put every imaginable feature in its phones and ended with a bulky, cumbersome package more and more people refused to buy and use. This year Samsung downsized TouchWiz for 40%. It promises a much fluent experience. The same thing goes for your resume. If you try to put every single thing you worked on or accomplished in your life in it, it’ll become cumbersome and crowdie. Recruiters won’t be able to recognize important information in the sea of text. So, trim your resume down, exclude unimportant details or even whole jobs from it. Give them what they need but let them desire for more – Samsung was one of the last producers of mobile phones that kept removable battery and SD card as standard features on its handsets. However, this year brought the change as they ditched it for a more compact design. It left an army of customers roaring about that move, but Samsung knew that the improvements they made in other areas are enough to take the sales to a new level. Ask yourself, what is the purpose of making a perfect phone? You would buy it and change it only if you break it or lose it. Samsung, as a good marketer doesn’t want that. They want to leave you hungry for missed features that could be introduced in the next handset. Same is with your resume. You need to make the recruiter wish to meet you in person so he could find out more about you. This is a very important aspect of a resume but also a very sensitive one. You need to write enough to intrigue a recruiter but not too much so he would call you in order to find out more. It’s a very delicate balance Samsung managed to achieve with the S6. Whether will you land a job or not, may depend on the fact whether you managed to do the same with your resume. Good artists copy, great artists steal – When you put Samsung Galaxy S6 and iPhone 6 next to each other, you’ll see striking similarities. Having in mind a huge success Apple reaped with its latest model, it’s not a miracle that other producers sometimes borrow something from iPhone’s design. Is it enough for a lawsuit is another question. Here, we’ll concentrate on a fact that your resume doesn’t have to be the most unique writing in the world. There are countless examples of resumes online so do your homework. Explore the web to find good templates, fitting for your experience and circumstances. You don’t have to start from a blank piece of paper. As you can see, there are so many things your resume may learn from Samsung’s Galaxy S6. That’s not something to wonder about since they are a marketing giant, employing hundreds or thousands of people which have one single goal – to market the new S6 properly. Put these vast resources to your use, making your resume more like Galaxy S6 and you’ll be a step closer to landing that dream job. thanks Vladimir for those insights. i really appreciated to you to share your tips with us. wish you all the best. Thank you for your kind words, Orabi. Feel free to share it if you like it. In addition, please contact me at vladimir.popovic@epiccv.com if you have any additional questions or would like to propose next topic etc.